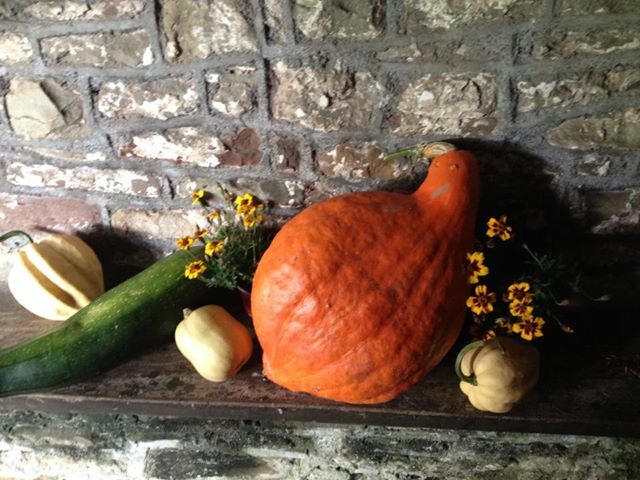 WE give thanks for the Harvest at St Mary’s on October 4th. W e’ve reached the end of our stewardship campaign, and just in time for Harvest! A time when we stop and reflect on the generosity of God in his creation. For me Harvest has wonderful memories as a child. My grandfather had a smallholding in Undy where as children we would visit every weekend and be put to work on the land helping in the cultivation of vegetables and flowers and looking after his chickens. Our Harvest produce always came from his garden and would be sold in an auction in the local school in our home parish with a rather generous harvest supper. The proceeds would be fed back into the parish. But harvest for those who work the land is a time of hard work and community, farmers and their workers pulling together to gather in the crops before they go over or the weather turns bad. 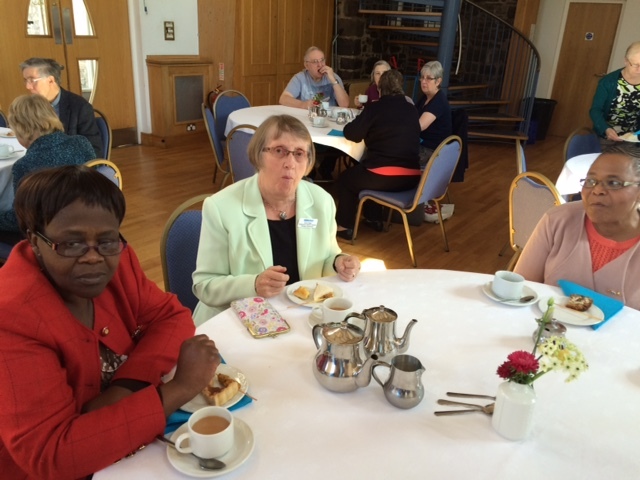 I wonder whether in our communities there is this great sense of fellowship? Are you happy to turn your had to gather in the harvest God has given us? In chapter 10 of Saint Luke’s gospel we read: “Jesus said to them, ‘The harvest is plentiful, but the labourers are few; therefore ask the Lord of the harvest to send out labourers into his harvest.” As the church communities of this town we are asked to pull ourselves together to be harvesters for the Lord. And while it may ok to go out there individually to do so, the farming community teach us that we will be much more effective together to gather in the plentiful harvest that Jesus tells his disciples of. We are so much better together! 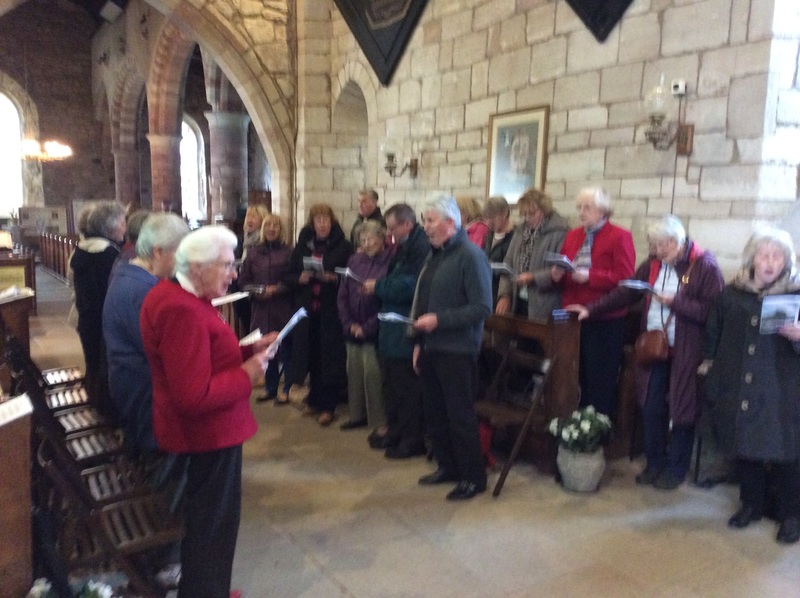 The Parish’s month long Stewardship and Giving Campaign was drawn to a close by Rt Revd Andy John, Bishop of Bangor and Chair of the Church in Wales Stewardship Group GENRuS, preaching on Sunday morning at 8am & 11am. My daughter, my eldest daughter, has begun a year’s back-backing to New Zealand. Although a little nervous we’re really quite pleased for her because I am half Kiwi and so there’s a sense in which she is returning to her roots. But arriving in Christchurch was a bit of a shock because the city is still recovering from that earthquake a couple of years ago. It destroyed the Cathedral and much of the older parts of the city and the after-shocks have made rebuilding difficult. Getting foundations strong enough that can withstand the tremors is no easy task. For us as Christian people we understand this too. We know that foundations are vital – Jesus told a parable about building on sand for example and St Peter commended the foundation which was Christ himself to the dispersed Christian communities of the Middle East. These things never become more apparent than when we face the earthquakes in our personal lives too and hope that we will not collapse under the weight of whatever calamity befalls us but rather be upheld because what has been built can stand. Today our focus is all on generosity as a way of life. A good theme and which only flows from the life of Christ himself. His generous love for all people, His commendation of generous time and commitment to others, His generous (even extravagant) attention to others (remember the wine at the wedding?) are all examples. So, as an attitude, generosity sits with the others given to us such as virtue, peace, patience, kindness and goodness and a raft of others commended by St Paul to the Christians at Galatia. The question I want to ask today is how is this attitude grown and formed in us or to use the earlier metaphor, constructed in our lives? May I suggest in two key ways? You see we cannot manufacture this kind of love and sense of God still less do a ‘VW’ and cheat, imagining the emissions of grace and love can be massaged into a better reading. This is something which grows in us as we understand how great is the immeasurable love of Christ. We take our cue from the cross don’t we? It was here that the Son of God died for our sins and showed there were no lengths to which God would not go to reach out to us and bring us back. It is here that heaven itself is vouched safe to us and a life restored with some of heaven’s goodness and beauty. I recently saw a news clip in which a child, with others visiting a museum, rested his hand on what he thought was just an innocuous shelf. It turned out to be a valuable painting upside down. A valuable painting now with a great fist hole in it! The truth is that we are all, like that painting, damaged and in need of restoration. The restoring love of Christ does this very thing because God’s love is generous and strong. The journey begins here and continues each day as we learn what it means to follow Christ and live His love generously in the world. Of course it isn’t easy is it? Perhaps the ‘maturer’ members will remember the vertical and horizontal buttons on the black n white TV’s we owned and what a pain it to fiddle them into an alignment which let us see the picture! And here is the challenge for us all which is to let Christ align our lives and attitudes to His own so that the kind of generous life becomes ever more embedded in us. I suppose in this sense generosity requires an act of the will as well as a response of free choice. But I think there is something more here too and it is this: generosity is formed when ideas are captivated too. Yes it is about understanding the depth of divine love but it needs something more still. And this is my second point. The great parable of the NT we know as the Parable of the Good Samaritan makes us ask a simple question: Who is my neighbour? And the extraordinary message, a subversive message is that the whole world needs a different set of lenses with which to view the world and different values if we are to be really human. What we need is a captivation of ideas which is both attractive and utterly counter cultural. And we could hardly do better than turn to the Sermon on the Mount. A Bible scholar described this passage as the most well known in the NT and the least well understood. Here Jesus lays out his agenda, if you like, for the Kingdom people who have tasted and seen that God is good. 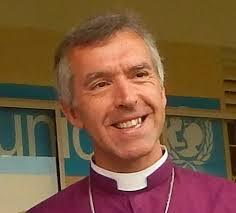 It’s the topsy-turvy upside down world in which service not self-centredness, is commended. It’s the world where peace making not gun slinging is required. It’s a world in which blessedness is for those who know their everlasting need of God and are poor in their eyes, if rich in God’s. Last week I heard one of those strange readings from the OT in which the prophet Elisha throws a piece of wood into the river to recover an axe head. You can the point – axe heads don’t float, something is going on here. And the prophets of this period, time and time again, imagined a different kind of world. Not one in which the Kings, who thought they controlled every destiny, were supreme but rather God. They called people to exist in a different way: not the closed and shut down world of lordly power but one in which grace abounded and made for a different way of living. Witness the widow given back her son and the oil which never ran out. This kind of life is not beyond us. It is, if you like, the ‘normal’ Christian life which is formed by God so our world might see the goodness of Christ and be drawn to Him. Such an invitation invites our response as individuals and churches too. For all the recent talk about AI, what is clear is that mechanical, robotic and ultimately lifeless responses to matters such as this will not do. For the sake of the world, for ours as disciples and for churches in this time, we need a generosity which is compelling and life changing. Born in a knowing of the love of Christ and fashioned and grown in a following of Him, this is our task and hope. Pray God it might be ours abundantly. The Highveld MU Diocesan President visited us around Mid-day. 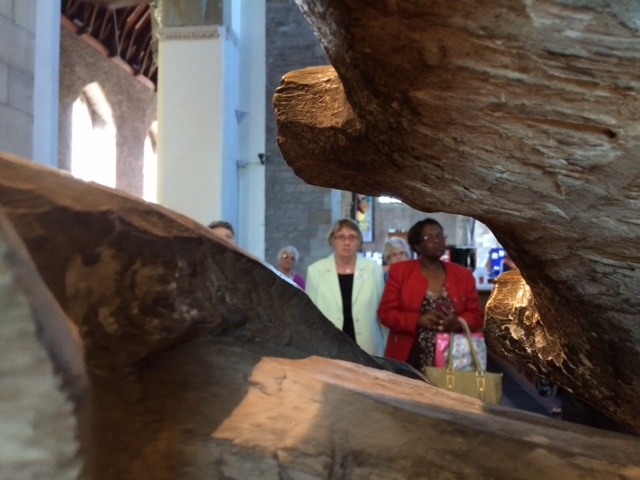 Having seen the Abergavenny Tapestry and tour of the Tithe Barn. 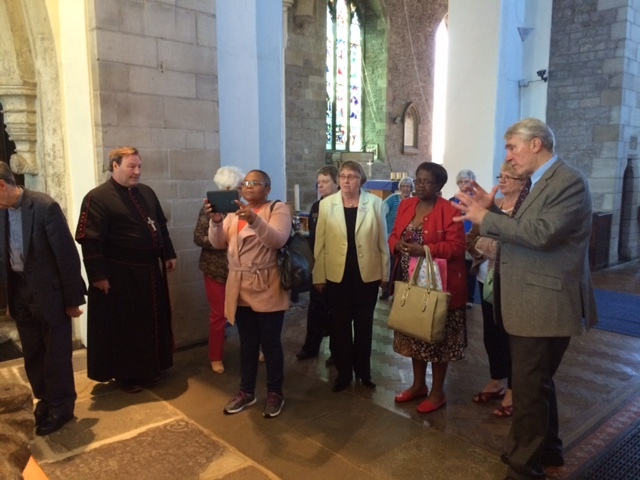 Sir Trefor Morris, Chair of the St Mary’s Development trust showed our guests the Priory Church. 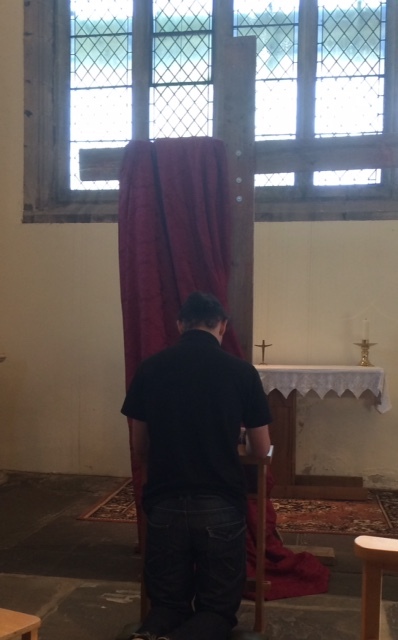 Prayers at 12noon were followed with lunch in the Priory Centre. The Diocese of Monmouth and the Highveld have been linked since October 2003. The Parish of Abergavenny was linked to the Cathedral of St Dunstan, Benoni until 2008, and from this year has been linked to the Parish of Evanda Secunda. 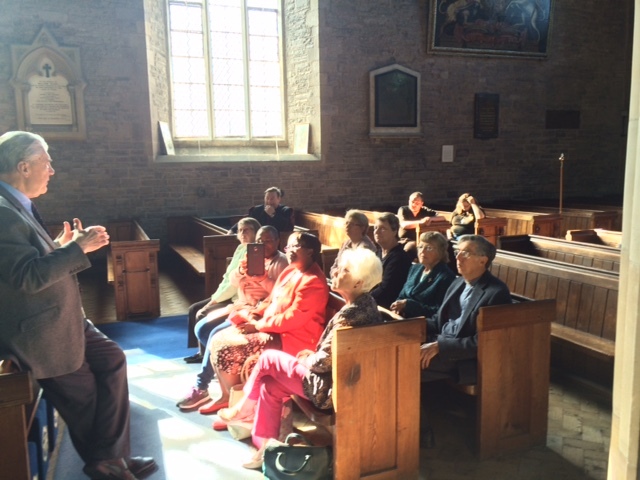 Canon Mark Soady said, ” It was great to welcome Thandi to the Priory. 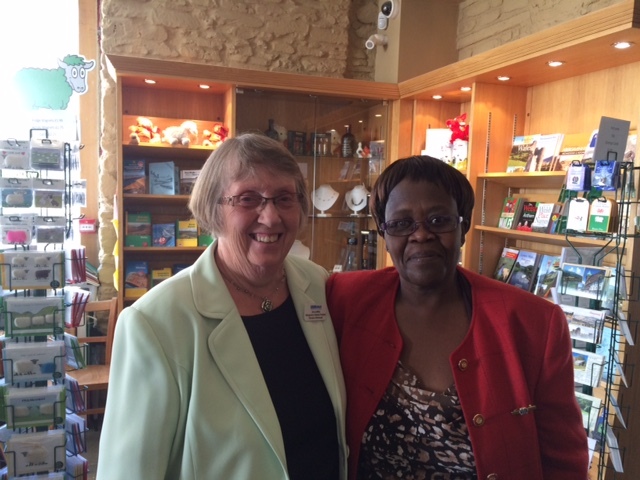 We very much value our link with the Highveld and this visit strengthens that link”. 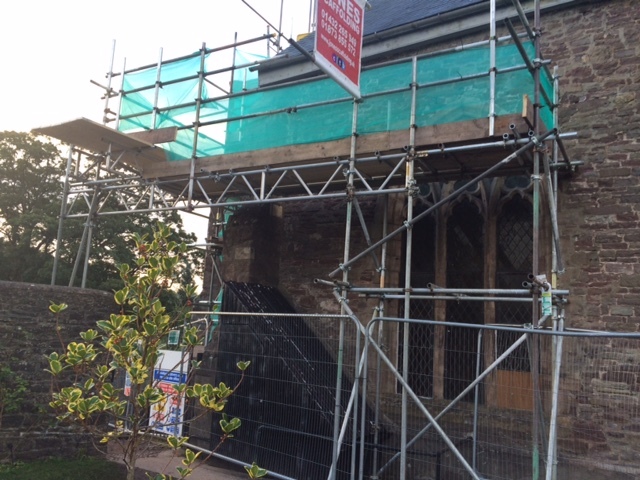 The ground work having been completed work has now begun on re-pointing of the Chapel east wall and repairing the window frame. Meanwhile at Barley Studios in York work is going on with creating the Jesse Window. Stained glass was first used in Egypt in the time of he Pharaohs .The making of stained-glass windows has hardly changed since the 12th century. A stained-glass window consists of pieces of coloured glass held together in a latticed web of lead. The glass has previously had details of faces, hands and drapery painted and fired on to it in black or brown paint. About the year 1300, yellow stain was discovered, This had the ability to turn white glass yellow or blue glass green, and was extremely useful in the highlighting of hair, haloes and crowns. 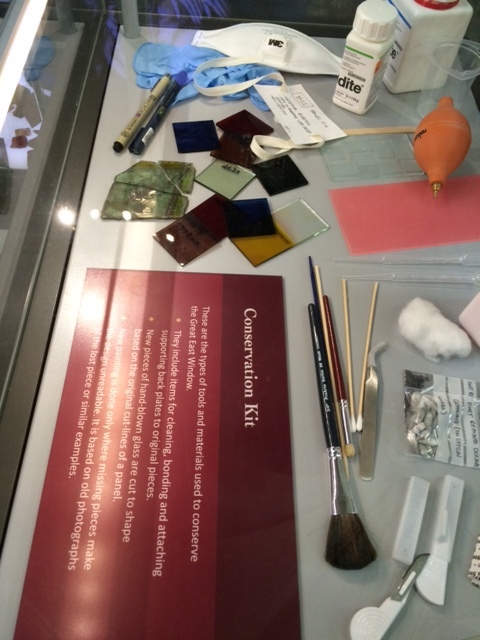 While in York we saw a magnificent display on the care and repair of stained glass, a good way of involving people in the work and educating us in the complexities of restoration and preservation. Lindisfarne is a ‘thin’ place where the prayer of well over a thousand years has narrowed the gap between heaven and earth. 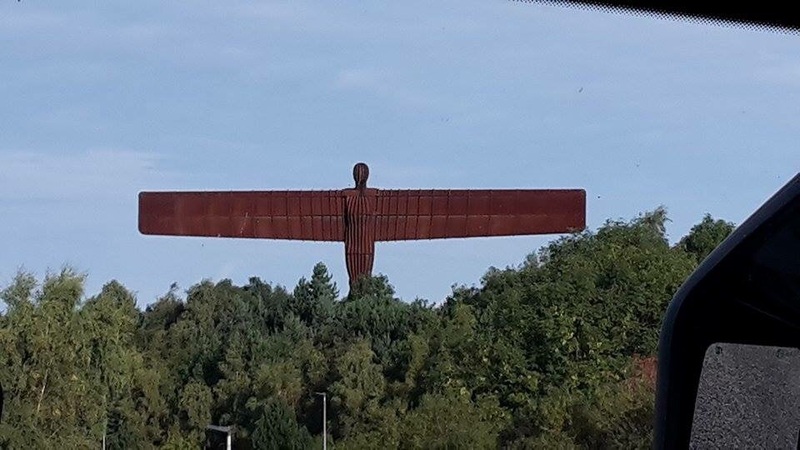 That may seem a bit fanciful when you’re not actually standing on the site of St Aidan’s Chapel, but there really did seem to be a blurring between then and now, between us and the side of the angels. 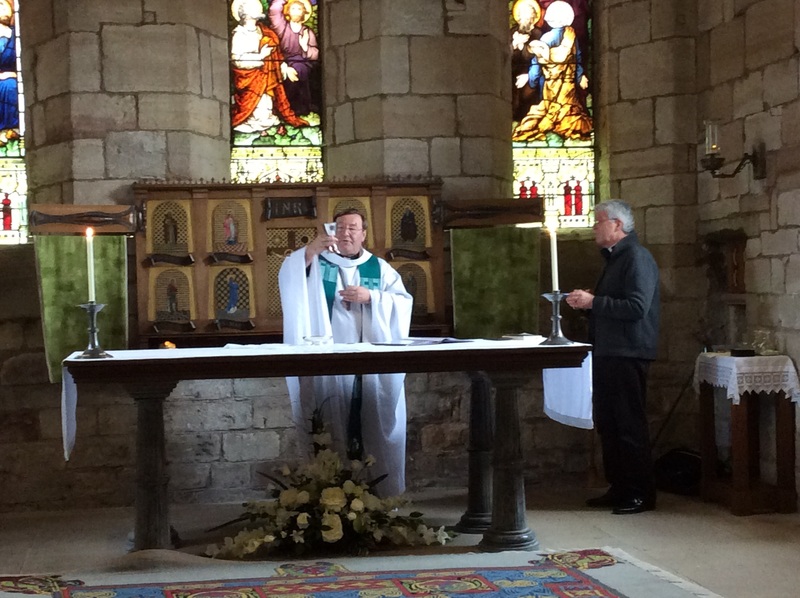 Reading the lesson and the psalm at our Eucharist in Lindisfarne’s parish church of St Mary the Virgin I had a sense of people through ages past listening to the same Epistle, the same song of David and sharing bread and wine – from the cowled monks who would eventually carry away St Cuthbert’s body, down the centuries to the present-day parishioners and visitors. Bishop Aidan, later St Aidan, established his monastery on the island in 635, and built at its heart two wooden churches a short distance apart, which shared a common east-west axis. 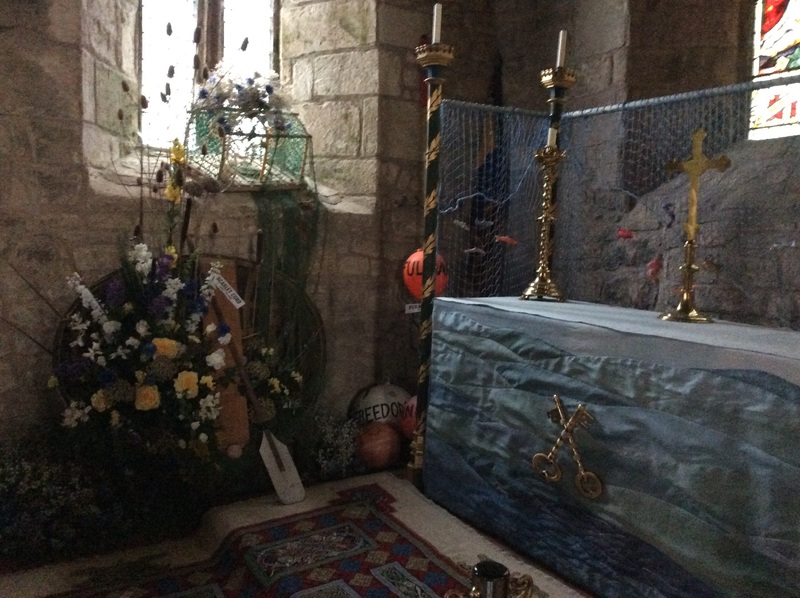 Tradition has it that the “greater” more easterly church was dedicated to St Peter, and served as the monastic church, while the more westerly was dedicated to St Mary, and may have served the wider community which grew up around the monastery on the island. St Mary’s still serves the local people but also provides a place of spiritual rest and quietness for the tens of thousands of visitors to the island each year. Not that it’s a noisy place, once you get away from the main car park. In fact, looking out across to the mainland, it’s rather bleak. Look more north east and there’s just the North Sea until you get to Scandinavia. Like many places in the border country between Scotland and England, the island has seen its share of violence – it was raided by the ‘neighbouring’ Vikings which prompted the monks to start their seven-year journey around Northumbria in 875 carrying St Cuthbert with them. 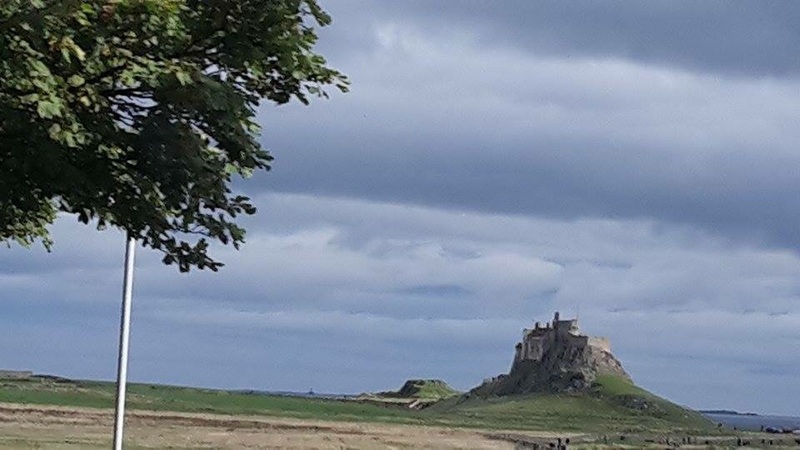 But it was also a place of great peace, prayer and creativity to the glory of God; it was here in the early 700s that the magnificent Lindisfarne Gospels were created. The island’s most prominent feature, its castle, was built in 1550 as a defence against marauding Scots and has been used since then as a holiday home by an Edwardian gentleman and nowadays is owned and run by the National Trust. On a sunny but windy day, looking out over grazing sheep, across the flatness of the fields to the castle set on its volcanic base, it was almost as though we’d stepped back in time. 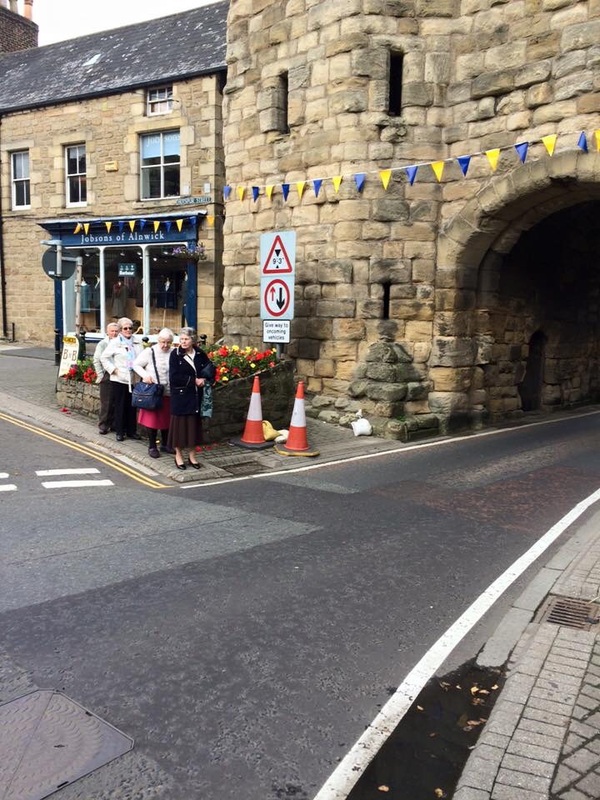 As Cuthbert’s Community traveled around the NE so are we!…visiting Alnwick this morning. 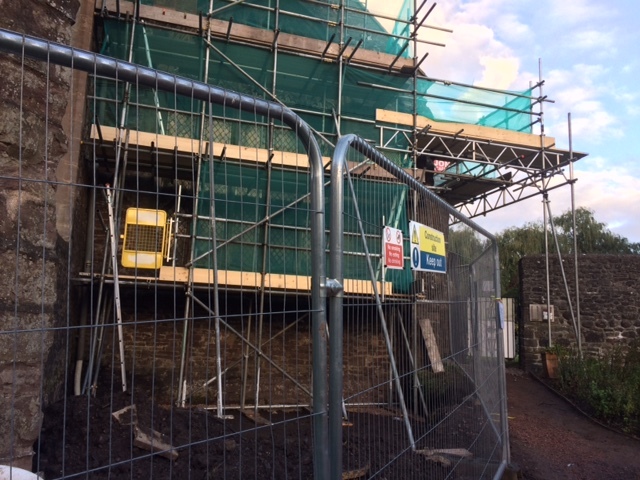 It is not only home to the Duke’s of Northumbrrland, but also to a Community of Franciscans, many of whom were sent to work in Wales at the end of the last Century. The tide and time waits for no man so at precisely 1pm we crossed over on the causeway to Lindisfarne.